Adegboyega Ogunlesi aka Adey, the producer of arguably the biggest song in 2017 in Nigeria, ‘Juice’ by Ycee ft. Maleek Berry has levied a serious accusation against Tinny Entertainment and/or Sony Africa. The producer claims that despite the success of the record within and outside Africa, he is yet to be paid royalties on the song by Ycee’s record label. He also reveals his big mistake of mixing and mastering the song in a way that confused the public and made people believe Maleek Berry produced the song, rather than him. 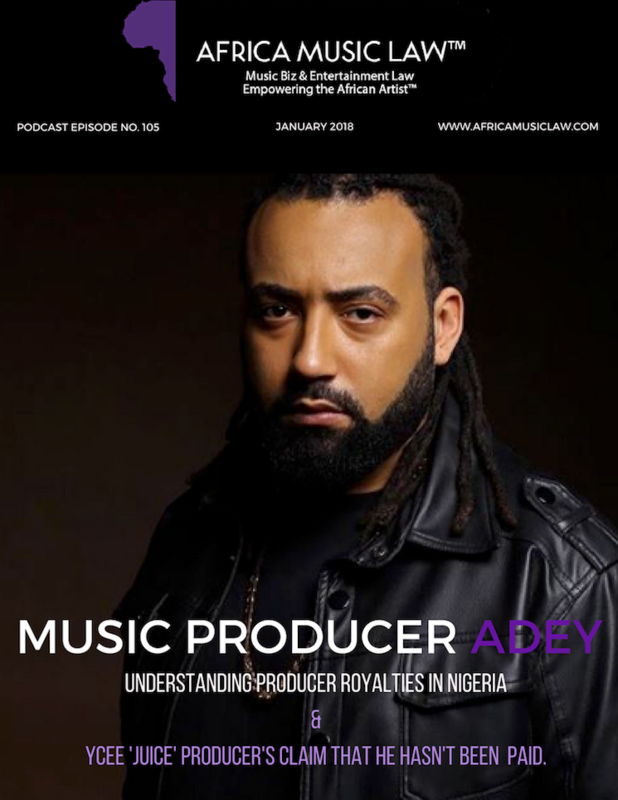 In this 105th episode of The Africa Music Law Show, producer and host, Ms. Uduak, takes on Adey’s claims and also breaks down how producer royalties work in Nigeria, Africa’s biggest entertainment market, versus the U.S.
Adey’s allegations against Ycee’s label and/Sony Africa. Adey’s claim of lack of royalties compensation. Producer royalties in Nigeria vs. the U.S.